The CASPI (Low-carbon Lifestyles and Behavioural Spillover) project is about how environmentally-friendly behaviour, lifestyles and spillover are understood and develop within different cultures. 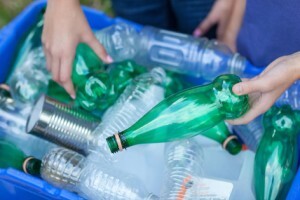 In particular, it tests whether and when behavioural ‘spillover’ happens – in other words, whether taking up one new green behaviour (e.g., recycling) leads on to other green behaviours (e.g., taking your own bags shopping), and if so, under what circumstances. This research is prompted by the need to make profound changes to individual behaviour in order to tackle climate change, and yet policies to achieve these changes have so far met with limited success. Most people are willing to make only very small changes to their lifestyle – so we need to find ways of encouraging green behaviour which can match the scale of the climate change challenge. The UK government and several scientists have suggested behavioural ‘spillover’ might be a way to achieve this. This is about how to green lifestyles in the round – moving beyond small-scale and piecemeal approaches to behaviour change. If we find spillover is easy to achieve, this is likely to be a cost-effective method for helping address climate change. Equally, it could help address other societal problems (e.g., obesity, crime) that rely on changing behaviour. The European Research Council has awarded €1.5m for this five-year programme of research. This significant investment will see the project conducting the first cross-cultural study of sustainable lifestyles and spillover, including much-needed experimental evidence of whether (and when) spillover really works. The work builds on the world-class research being conducted in the School of Psychology on behaviour change and green lifestyles.